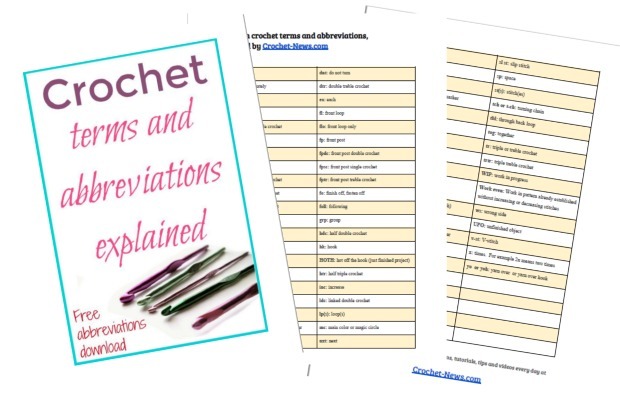 Our pattern for the crochet shell stitch will guide you through each step of this must learn technique. You will be able to add beautiful embellishments to many different projects or crochet an entire project is this delightful pattern. 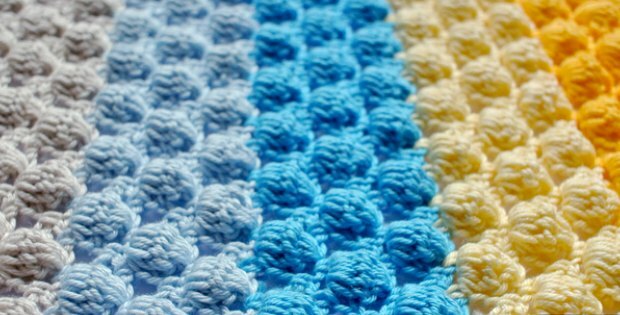 The crochet shell stitch pattern is great addition to any crochet addict’s litany of techniques. The shell stitch has made the rounds for over a century and lends a fancy finish to any number of crocheted items. The crochet shell stitch is a delightful pattern that creates a shell or scale effect much like that of a mermaid’s tail. 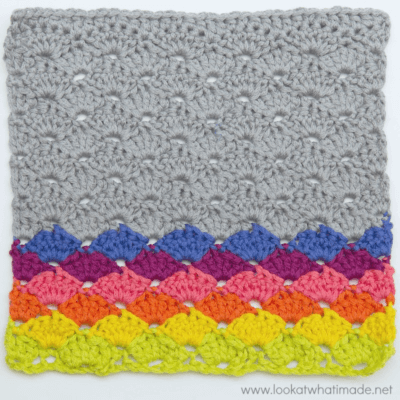 You can crochet an entire project in this pattern or add it as an embellishment to a variety of projects. 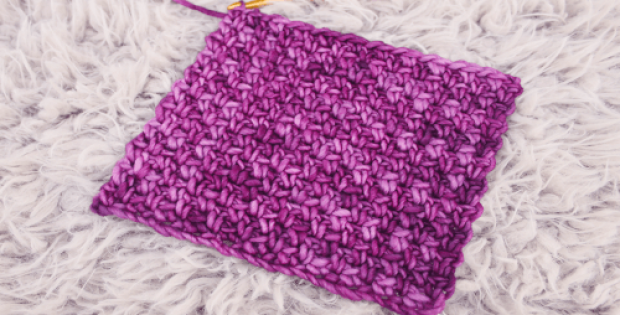 If you are using the shell stitch pattern for an entire project, keep it interesting by alternating colors. 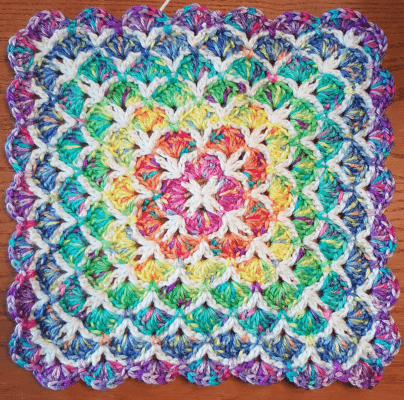 For example, a fun gift for a little girl might be a mermaid tail afghan using the crochet shell stitch. Check out our mermaid tail afghan pattern here! 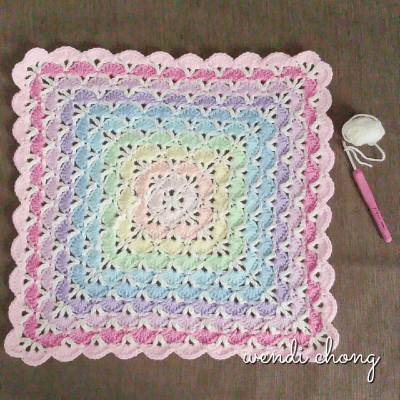 Or you can add it as a border to an afghan crocheted in a different stitch and give your project a nice, finished look. It would also make a great trim along the hem of a sweater or vest. Additionally, you can work this stitch up in a variety of yarn weights to fit the type of project you want to create. 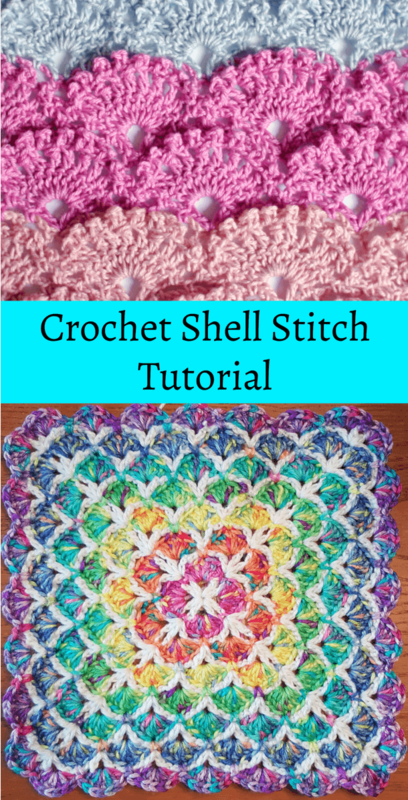 I have used this crochet shell stitch pattern for many projects over the years. I use this pattern when I want a pretty overall look that is delicate and feminine without being too lacy and open. The crochet shell stitch is still lightweight enough that a finished product has a lot of movement and flexibility. See the pattern for a Vintage-inspired Cardigan here! I have used thicker yarns for scarves and beanies and lighter weight yarns for shrugs and tees. With so many weights and colors of yarns available today, there are unlimited options. In the 3rd stitch from the hook, double crochet. Skip the next 3 stitches in the chain. In the next stitch, make 5 double crochet stitches. Repeat step 4 across the row. When you reach the end of the row, turn, and then slip stitch into the first 3 stitches. 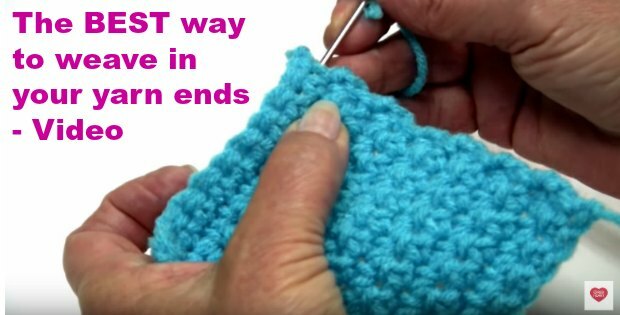 Make 4 double crochet stitches into the same stitch. To end the row, finish off with a single crochet stitch. It is easiest if you are adding to a project that is in multiples of 6 + 1. However, you can still add it to projects that don’t fit that number and just work around it. It is best to work in the same type of yarn weight as your project. You can add the shell stitch edging in the same color or a complimentary color. To add edging, begin with a slip stitch at the corner, skip the first 2 stitches, and then begin working in the 3rd stitch. To crochet around a corner, chain 1 after the slip stitch at the end of the row. Then slip stitch into the first stitch of the next row. Chaining 1 will account for the corner turn. To cheat the count if your finished project was not in a multiple of 6 + 1, you can add slip stitches to the beginning and ending of rows around the corners.